A talented Sheffield filmmaker and climber has collapsed and died at a Peak District beauty spot. Father-of-one Ben Winston, 39, from Meersbrook, died last Saturday night after collapsing while camping alone at Lawrencefield, near Hathersage, which was one of his favourite places. Efforts were made to revive him by mountain rescue volunteers and the emergency services but he could not be resuscitated. 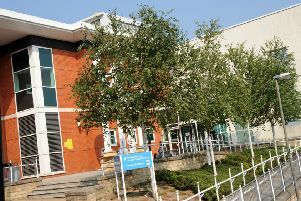 The coroner for High Peak, Chesterfield and North Derbyshire has now launched an investigation into the death. Emotional tributes have been paid to Mr Winston on the British Mountaineering Council website. Friend Shane Ohly said he had spoken to him the day before his death. He said he had first met Mr Winston at the Broadfield pub on Abbeydale Road about 15 years ago. Mr Winston was a freelance photographer, writer and videomaker, whose work has previously featured in national newspapers including The Independent on Sunday, The Telegraph and The Sunday Times. He was a campaigner on climate change and ran his car on post-consumer waste biodiesel, while taking part in a recent protest against a coalmine in the Rhineland. Claire Maxted, from Trail Running magazine, said: “It’s so hard to believe that our smiling, creative, passionate friend has so suddenly and unexpectedly, gone. Fellow friend Simon Ingram said: “A beautiful man, whose love of the world and living his life in it was infectious, and affecting. A spokesman for Derbyshire Police said members of the public found the body of Mr Winston, who was pronounced dead at the scene. Police said there are not believed to be any suspicious circumstances relating to the death.